Thank you to our amazing volunteers who support the residents of Culpepper Garden in many different facets of their lives. Read on to learn how you can get involved as we head into the spring season and please pass this newsletter along to others who might be interested. The new year brought lots of snow and activities for residents to enjoy! As the new Volunteer Manager, I have been impressed with the number of individuals and groups that reach out to Culpepper Garden to volunteer! Culpepper Garden is a recognized affordable housing community and welcome volunteers. 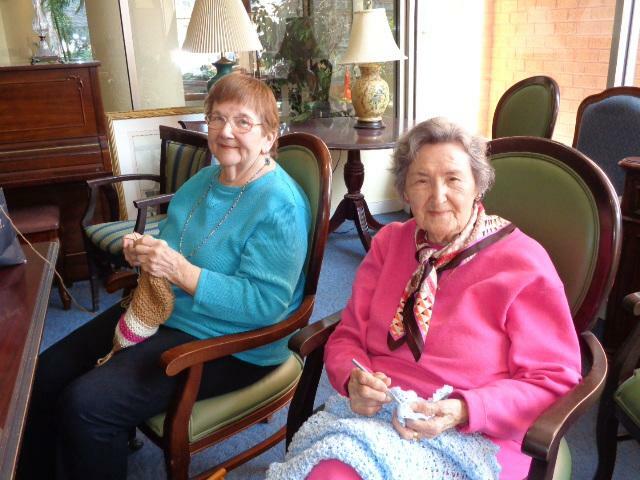 The residents are very appreciative of the different programs our volunteers bring to Culpepper Garden. I look forward to getting to know all of our amazing volunteers. You can reach me at mscott@culpeppergarden.org or 703-528-0162 ext. 109 for volunteer opportunities or just to say hello! Our extensive renovation is now underway in the dining room. In the short-term, one of the main areas getting a facelift is the dining room. The temporary dry wall was plain and uninviting. 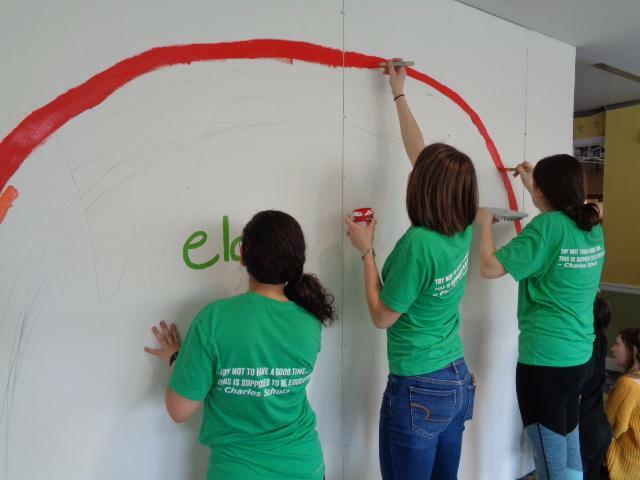 Welcome our Sycamore School students who volunteered to come in and paint the walls with a springtime theme! The result - a rainbow and outdoor scene - has brightened the view the residents have while they are dining. Girl Scout Troop #1431 made and delivered over 200 Valentine's for Culpepper Garden residents. 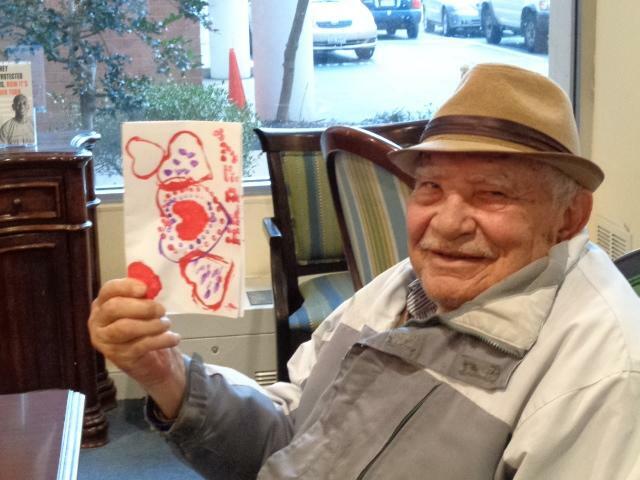 Independent Living resident Francisco (pictured to the left) is enjoying his Valentine! 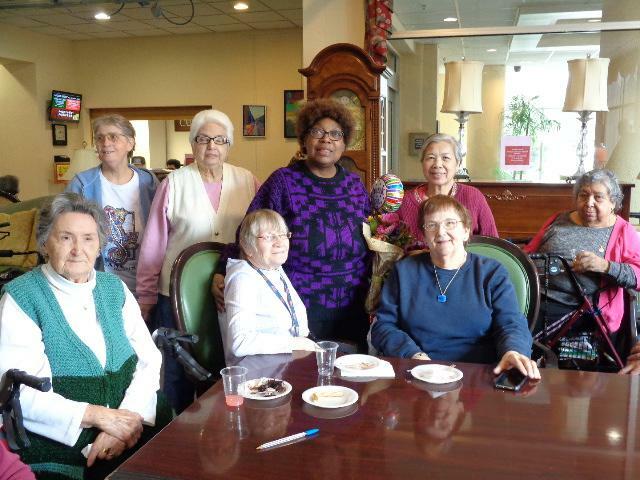 Culpepper Garden residents and staff recently bid a fond farewell to Deborah Madden. 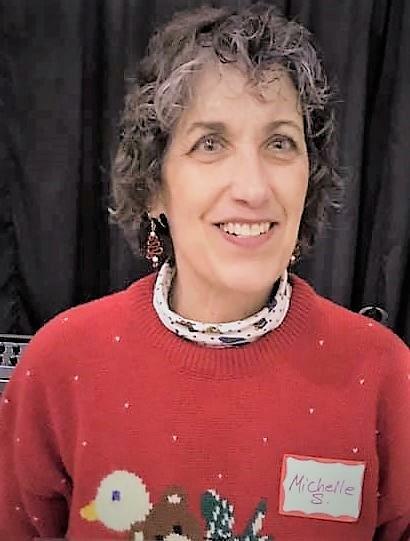 Deborah served as the part-time Volunteer Coordinator for two years, managing an active network of volunteers to meet the needs of our residents. 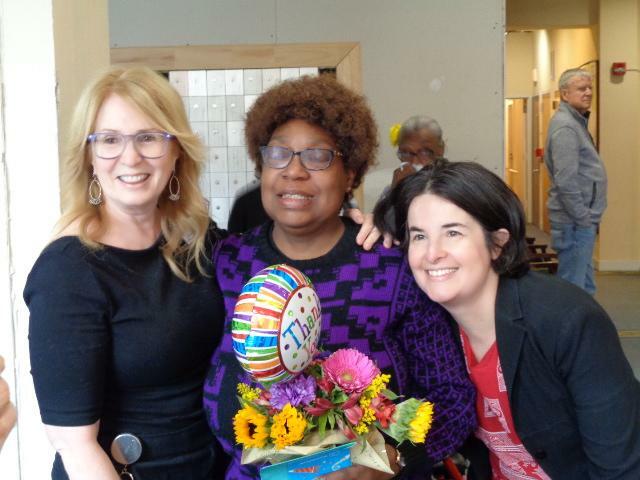 We are grateful to Deborah for her service and commitment to Culpepper Garden and wish her all the best in her future endeavors. Volunteers are needed to help greet and check in guests at our Donor Appreciation Reception on April 4th from 6:00 -7:30 pm. Volunteers are needed to host Mother's Day activities for residents during the week of Mother's Day (week of May 6th) including playing music, providing pampering activities, playing games and providing cards and flowers. Volunteers are needed to help staff our Springtime Party on June 8th, 5:30 - 8:00 pm. Tasks include helping with event set up and clean up, registration, silent auction and more. Interested in learning more about the Springtime Party? Click HERE. In December two of our Culpepper Garden residents were honored at the Virginia Hospital Auxiliary meeting: Pat Sorby and Elisa DiCenzo. Throughout the year they have donated their time and talents to provide knitted items for both the NICU and the Cancer Resource Center. Pat and Elisa supply lap blankets and arm sleeves for cancer and breast cancer patients. These beautiful items have brought comfort and joy to patients and their families. Ladies take a bow!